The word Advent is derived from the Latin word meaning coming. 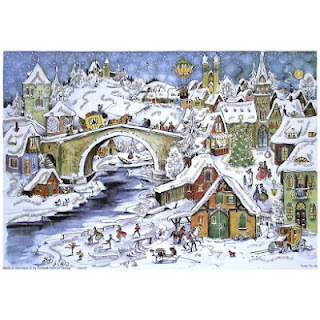 One of many fond childhood memories of Christmas is opening up the windows on my advent Calendar. They were always glittery little villages. Similar to one like this I found on the web. It was hard not to peak! Several years ago I bought the Kathy Schenkel set and I finally started to work on them this year. I was hoping to get them done in time but alas, another UFO. However, while I was working on them I laughed. 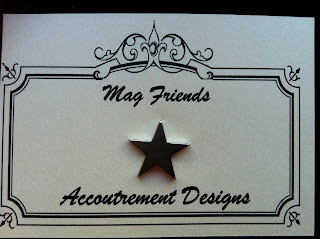 Many of them were Mag Friends or they were on the drawing board for future ones. That gave me the idea to present them that way at market. 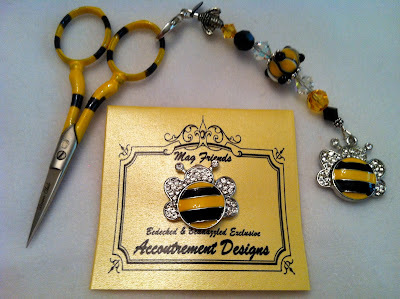 Did you see Sheena's blog with the Melissa Shirley's advents? I LOVE those too! They are not in my stash - yet. Imagine I wanted to finish one before buying another. (What?!) 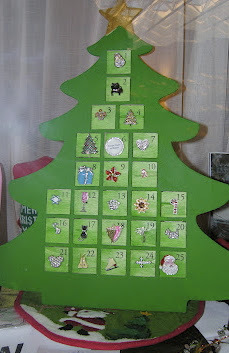 She also shares an idea on a way you to can display your magnets for advent. Thanks Sheena! 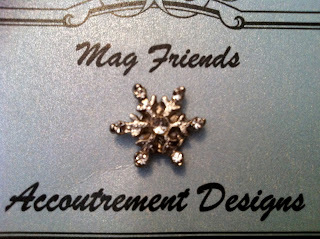 Using the magnet of the day on your stitching is a great stitcher's advent. Many blessings to you, your family and friends this Thanksgiving! Don't forget "Small Business Saturday" this weekend! Support your local businesses, especially a Needle Art Shop! Announcing a new partnership with Norden Crafts! 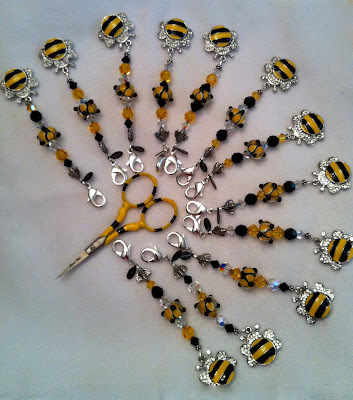 Starting with plain magnets and some seasonal items. Coming soon will be plain Block & Start Shaped Magnets. Thank you to our military everywhere! Both past and present. The idea for their costumes came from the frenzy at feeding time.